Inspired by his grandmother and Andean heritage, Martin Morales, founder of Ceviche, brings a taste of Peru to London with Andina. The pioneering restaurant is a modern Picanteria that serves healthy Peruvian food and drink, with breakfast, brunch, lunch and dinner available. Peru and the Andes are home to some of the world's most nutritious ingredients, such as quinoa, maca, amaranth, Cape gooseberry and purple maze, and Andina pairs these with seasonal British produce to create unique, healthy and delicious dishes. Diners can feast on quinoa croquetas, avocado and amaranth ceviche, and Greek yoghurt topped with pumpkin seeds, coconut, almonds, maca root and seasonal fruits. 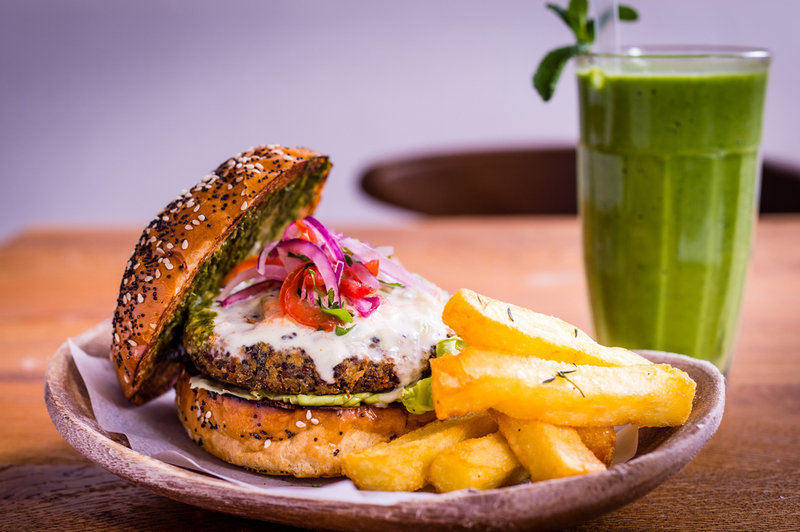 Main dishes include chicken wings with panca chilli, Peruvian coffee and sala criola; grilled octopus with lucama, butterbeans, chancaca and limo honey sauce; slow cooked ox tongue stew; and a quinoa burger with kiwi yoghurt and chilli mayo. There's also a selection of fresh pressed juices and superfood smoothies. Andina gyms, sporting activities, health & beauty and fitness. The best pubs near London Andina. Andina clubs, bars, cabaret nights, casinos and interesting nightlife. Where to have your meeting, conference, exhibition, private dining or training course near Andina. From cheap budget places to stay to luxury 5 star hotels see our special offers for Andina hotels, including Holiday Inn Express London-City from 85% off.